Alexandra is a Consultant with Social Ventures Australia (SVA). 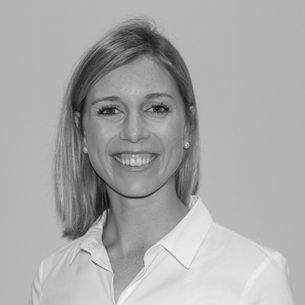 She brings direct experience from the funder and impact investing space, having worked for a private foundation in the UK that invested in social enterprises and social impact bonds. Joining the organisation at its inception, Alexandra helped develop and implement its impact investment and venture philanthropy strategies. Previously, she worked in debt capital markets at Westpac Institutional Bank and for microfinance specialist, Grameen Foundation in the Philippines. Alexandra has brought this experience to bear on several projects at SVA including working to establish a private corporate foundation and on strategy development for disability services organisation House with No Steps. She has shared her expertise in her article ‘Kickstarting an Innovation Strategy’ which details how four organisations in the disability sector responded to sector changes by launching an innovation strategy. Alexandra volunteers as a mentor to young, female social entrepreneurs in developing markets and is a Board Director for social purpose organisation, Blue Dragon, that works with children in crisis in Vietnam. She holds a Masters in Management and Strategy from the London School of Economics and Bachelors of Commerce and Arts from the University of Western Australia.